Nearly all lorry drivers stopped in the last year have completed their Driver Certificate of Competence (CPC) periodic training. New figures show that almost 99% of drivers stopped during roadside checks had completed their Driver CPC training and had a valid Driver CPC card with them. You must do 35 hours of periodic training every 5 years to keep your Driver CPC to drive a lorry, bus or coach. You then have to keep your Driver CPC card with you when you drive professionally. It’s a year since the deadline for existing lorry drivers to complete their first block of 35 hours of Driver CPC training. 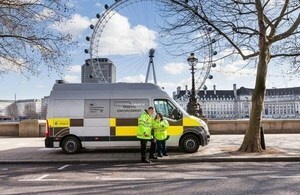 The Driver and Vehicle Standards Agency (DVSA) carried out more than 89,000 roadside checks between 11 September 2014 and 31 August 2015. Only 1,400 Driver CPC related offences were recorded during these checks. We are very pleased that the evidence from our roadside checks shows the vast majority of professional drivers have completed Driver CPC training as required. The training helps all professional drivers to keep their skills and knowledge fully up to date. It also allows them to gain new skills such as first aid or eco-driving techniques, and can help to improve road safety as well as saving money for operators. Driving without a Driver CPC card, or failing to show it, carries a maximum fine of £1,000 – for both the driver and the operator licence holder. Offences can also be referred to the Traffic Commissioner (TC), and could result in the operator’s licence being revoked. The Traffic Commissioners are extremely pleased to see the level of compliance with the requirements of the Driver CPC reported by DVSA. This is welcome news and is consistent with the limited number of occasions when TCs have needed to take action against operators and drivers. Find out more about Driver CPC training.